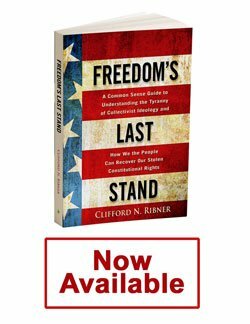 The following is an excerpt from Clifford Ribner’s book, Freedom’s Last Stand. 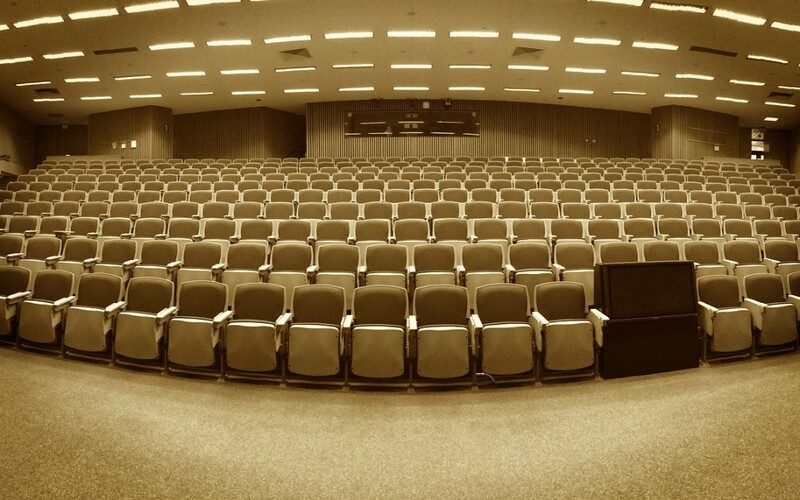 Everywhere you look – and even where you don’t – self-proclaimed “Experts” can’t wait to impose their opinions on you, claiming that they and their ubiquitous “studies” have authoritatively determined every detail of how you should live your life, and for you to simply shut up if you disagree with them about anything. The government is filled with them, as are all the print and broadcast media. Regardless what they claim, they are not there as your friends. Their sole purpose is to steal your power, for themselves, or for the government – and to get paid for doing so, ultimately by you, as the final insult to your intelligence. This is no small matter. It is one thing if you seek out someone voluntarily to get his advice, based on your belief that he may have more information than you on a particular subject. That’s how people choose their lawyer or doctor, or whatever. If you choose to call that person who you alone select an “expert” or “authority” as your reason for consulting him, that is up to you – and, most importantly, it is you who is making the choice to seek out his opinion. Read on, and I will prove all this to you by simply reminding you of simple facts you already know. The reason those who wish to take away your power love claiming that individuals whose opinions they want you to subscribe to are “experts” is simple: they want to force the opinions of those so-called “Experts” on you – and for you to shut up if you have any objection. This is literally an insult to you and your intelligence — and your wallet. When they trot out those “experts” to tell you supposed “facts,” that is always a lie in and of itself: the “facts” they announce are actually no more than theories at best, and often are proven completely false not long after being announced. What is even more reprehensible is when “experts” state what even they admit are mere opinions – and expect you to accept even those as facts. Those opinions have even less substance then the theories those “experts” fraudulently pretend to be facts. Although there are people who have indeed acquired relatively more information about a variety of subjects than others, their theories and opinions even on those subjects they supposedly have more information about, are no better than yours – and when it comes to matters that affect you, they’re positively worse – and an insult to you to boot if they expect you to subscribe to them. The basic problem with anyone claiming to have actual expertise or, as the Oxford English Dictionary defines that, “comprehensive and authoritative knowledge” about anything, is that that claim really is the claim that that person is as smart as God: who else but God can have genuinely comprehensive knowledge about anything? The addition of a single word – “not”, before the word “good ” completely changes the meaning of that sentence – to its opposite. That is precisely what any new fact can do to what a so-called ”learned scholar” may know – or rather, think he knows – about something – which may well turn out to be sheer nonsense. Since no one knows all the facts about everything – Including what unknown facts would completely transform what he thinks he knows about any particular subject – no one in real life ever has the “comprehensive and authoritative knowledge” necessary, by definition, to be an expert about anything. So when anyone claims to be an expert and wants to tell you how to live your life, and for you to shut up in obedience to his brilliance, recognize the insult to your intelligence, and the fraud he, and all those trying to force you to accept his supposed “expertise” to demand your obedience, are practicing on you. Fundamental to the entire Counterrevolution — and the regulatory bureaucratic administrative state it has been imposing on America since 1887 — is this very demonstrably-false notion that bona fide “Experts” do indeed exist – and in multiple areas of study – and that when the government claims to rely on them to tell you what to do – under threat of destroying you, your business, your fellow citizens, or your life if you disobey – it is “Progressing” the virtues of government and improving the lives of everyone. Because, as I have just demonstrated, there is no such thing as a genuine “Expert”, that fundamental claim of the Counterrevolution, on which it bases all its claims for the virtue of amassing total power in the state over the citizenry, to force the rule of such “experts” on them, is a big lie and a complete insult to you and to all free men.